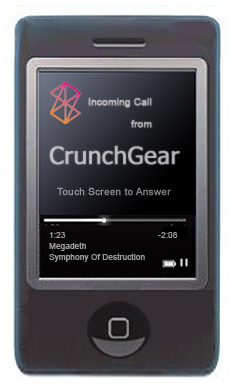 We’ve just received a sound tip that Microsoft is working on its very own phone to be branded under the Zune moniker. Our tipsters inform us that Microsoft execs are in meetings today hammering out details of the device and developing strategies and timescales for its release. Seeing as that the development has hardly started, little is known yet about the Zune Phone, but there are some details that seem solid thus far. Connectivity is the major concern of the device. It is said that it will be able to sync with the Xbox 360 and stream video from the system to the phone via a wireless data connection. This would be pivotal in Microsoft’s proliferation of its media ambitions. Not only does it already have millions of 360s in homes capable of downloading movies, it’d be able to distribute those videos directly to its phones. Cool stuff. The other detail that seems certain at this point is that the device will, if things go as planned, be available for the ’07 holiday season, which seems like a decent time line. That gives Microsoft about nine months to get everything together, an entirely possible feat. With the Apple iPhone is set to drop in June, and the Microsoft Zune Phone near December, this year is gearing up to be highly prolific for the cellular industry. What effect do you all think this will have on the scheme of things? Who do you think will deliver a better product (and I don’t want “just because” answers)? Rational thought here, please. This information is as definite as tips can be.